As part of its mission to promote renewable energy, the Illinois Solar Energy Association (ISEA) hosts the annual Illinois Solar Tour. Homes and businesses using solar, wind and geothermal energy open their doors to anyone interested in learning how to save on utility costs and reduce their carbon footprint through renewable energy. ISEA asked Terracom to publicize the 2008 tour, for which a record 2,000+ people participated. When one visitor was asked how he heard about the tour, he replied, "How couldn't you hear [about it]. It was everywhere." ISEA asked Terracom to publicize the tour again in 2009. 2009 placements that included coverage by "Live Green with ABC7," Chicago Tribune, Chicago Sun-Times, Crain's Chicago Business, Daily Herald and more. 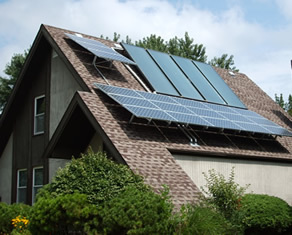 Learn more about the Illinois Solar Energy Association.